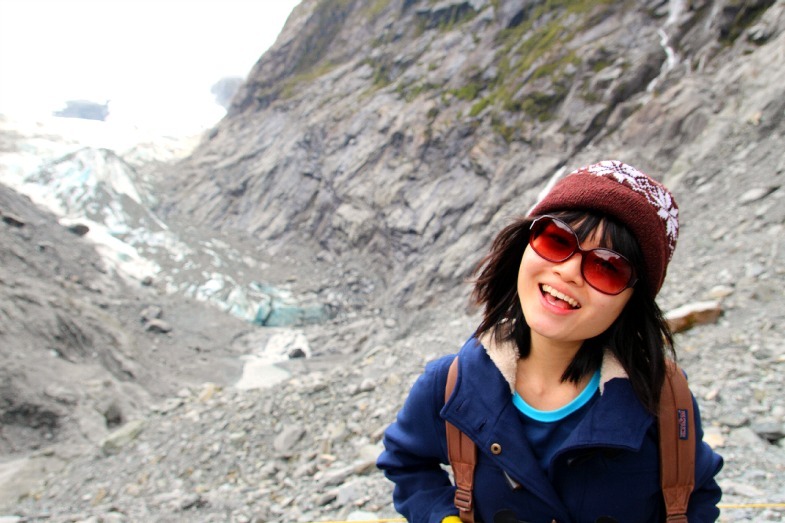 Treks: Franz Josef Glacier Walk, Franz Josef Reviewed by acaciadee on November 3, 2015 . 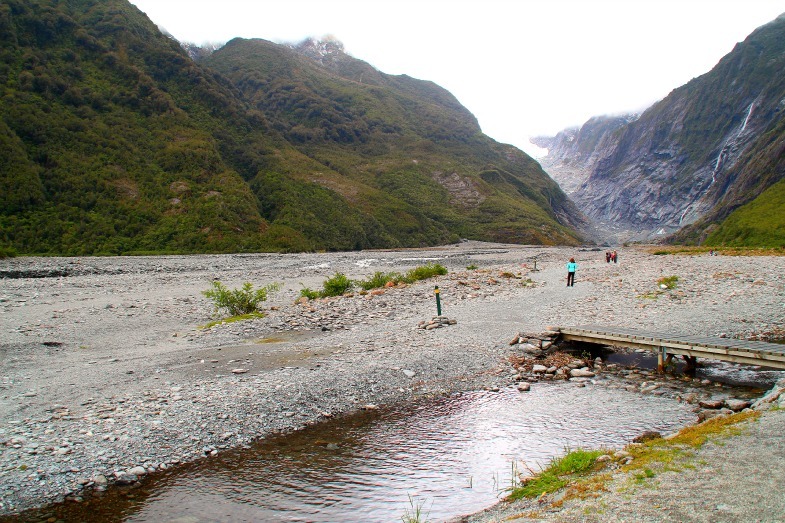 Fox Glacier Valley Walk OR Franz Josef Glacier Walk? TIPS? Going on Douglas Walk & Peters Pool? 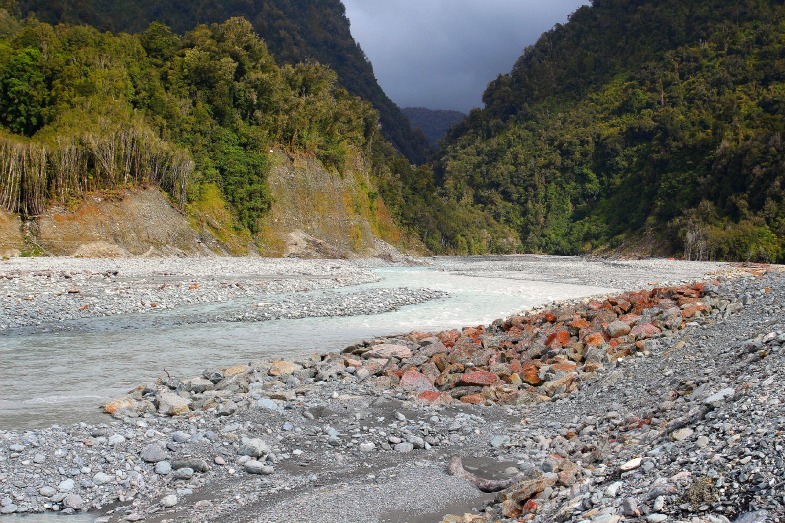 This trek wasn’t an impromptu one as it was for the Fox Glacier Valley walk; which I wrote about sometime in July this year. 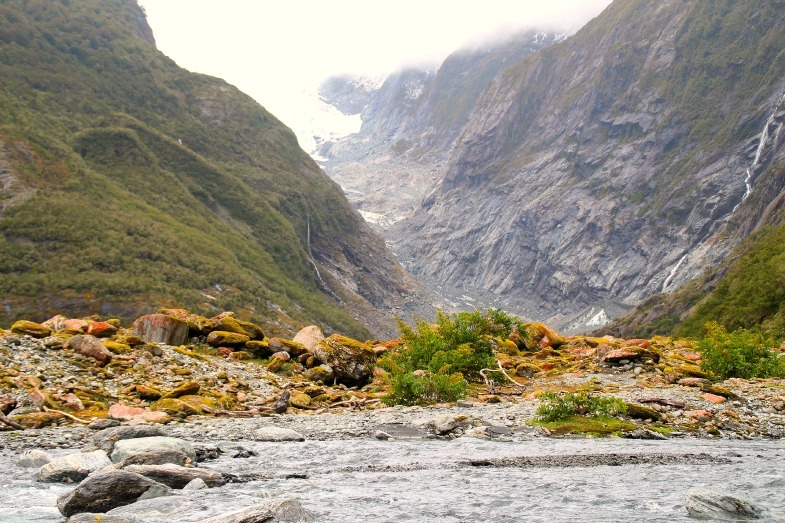 If you have not read that already, then here it is: Treks: Fox Glacier Valley Walk, Fox Glacier. 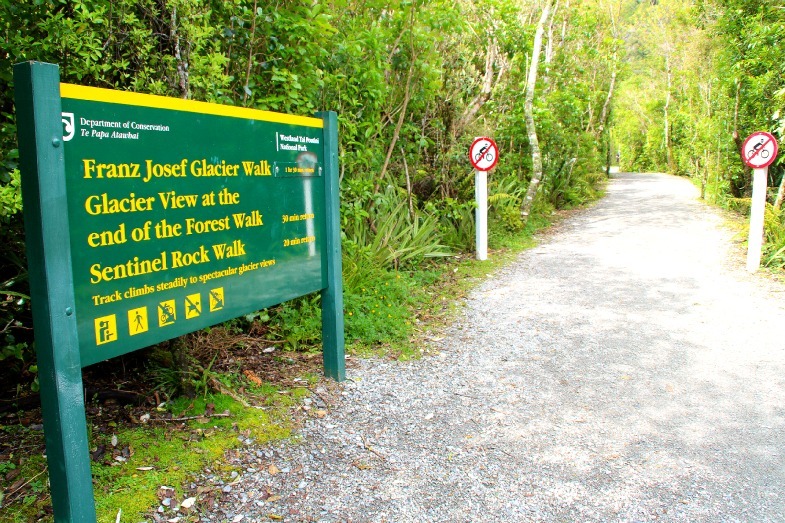 Just as Fox Glacier Valley walk is as easy, so is this Franz Josef Glacier walk- with minimal strain! 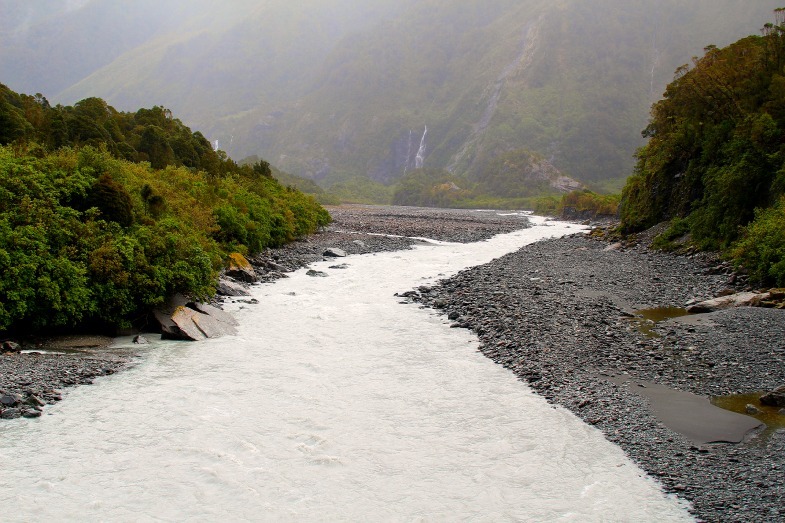 I love valley walks as compared to forest walk because of the wider peripheral version of the landscapes around. Furthermore, you get the option to look up at the skies every once in awhile; which I love to do too! 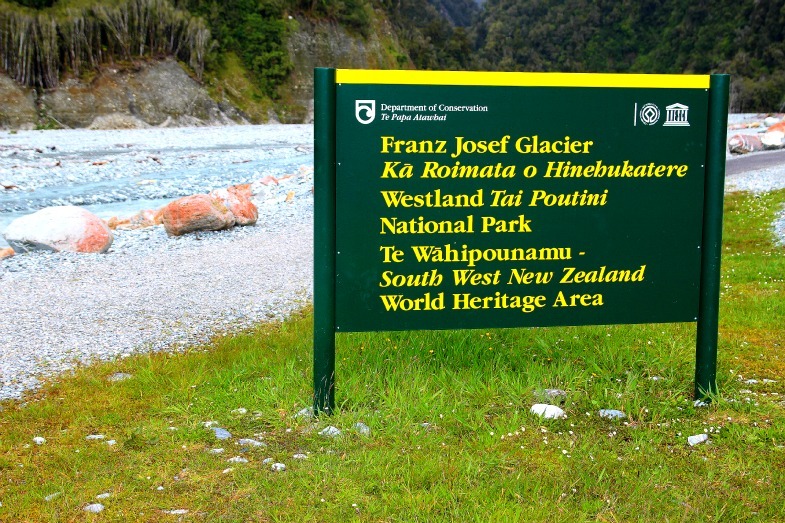 From Franz Josef Waiau township, head down South, and pass Franz Josef i-Site Visitor Information Centre. 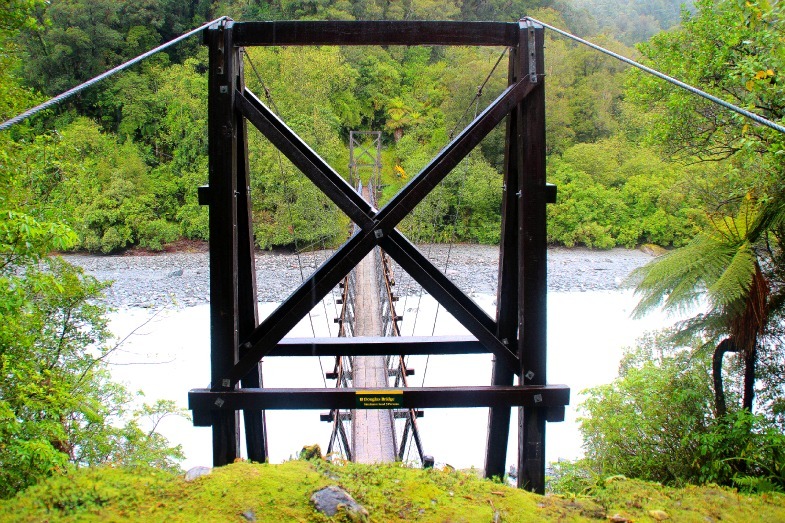 Cross the Waiho River bridge, and make a left turn onto Glacier Access Road. 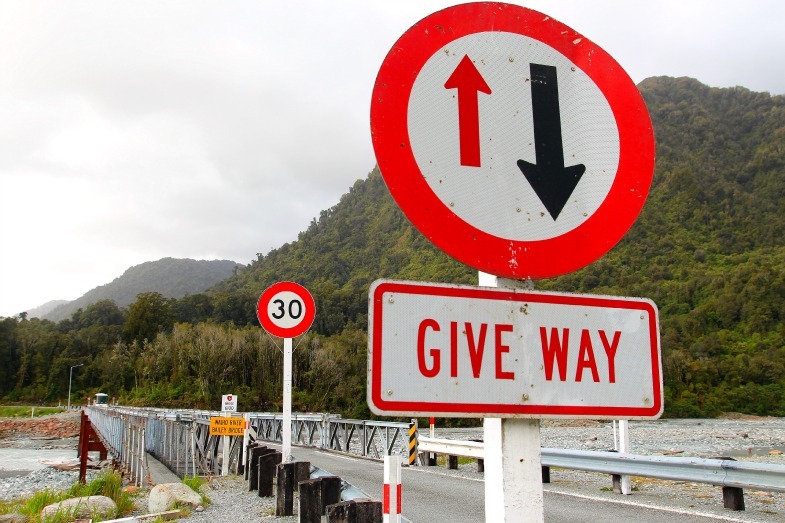 The signage for this is very obvious. 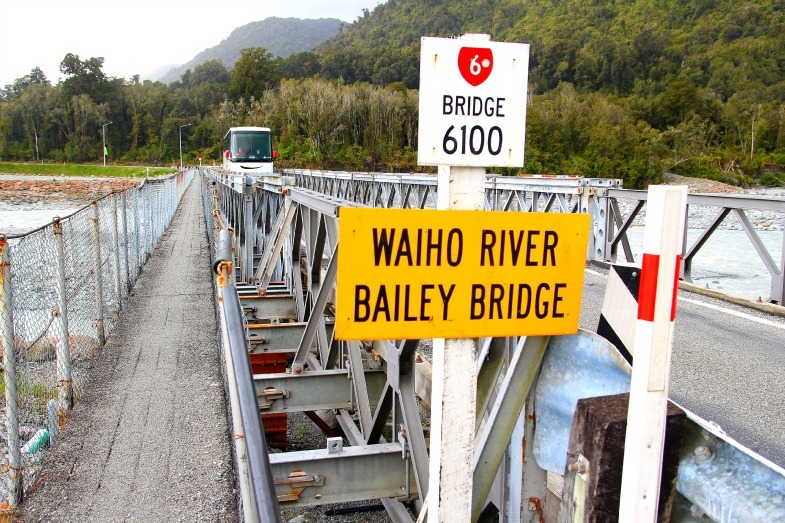 A quick drive to the end of the road (start of the walk) would take probably 10 minutes at most? 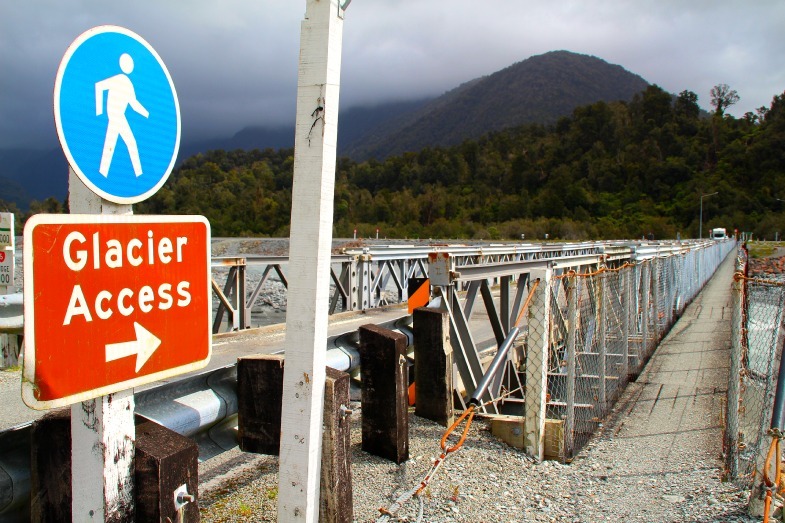 For those who would like to embark on this walk starting from Franz Josef Waiau township, there are tracks for you to walk or cycle to the end of the Glacier Access Road too. That’s about 3.8 km (2.36 miles) and approximately 1 hour from the start of the Glacier Access Road to the end of the road (a.k.a. 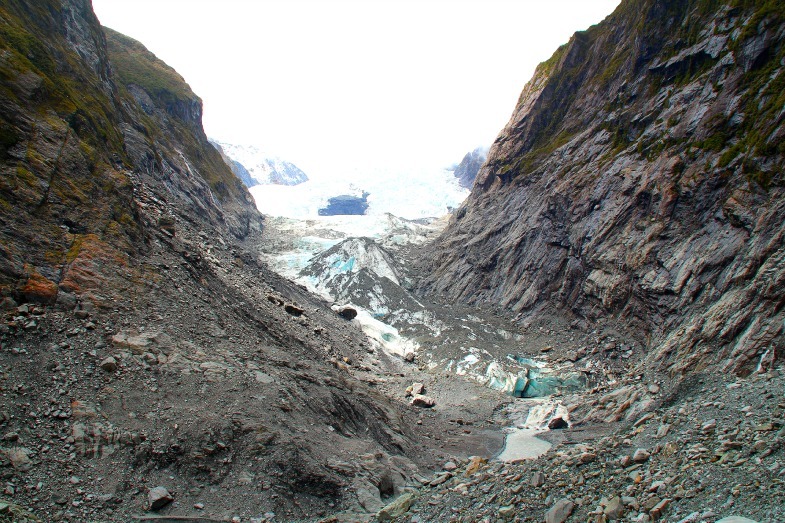 Glacier Carpark). 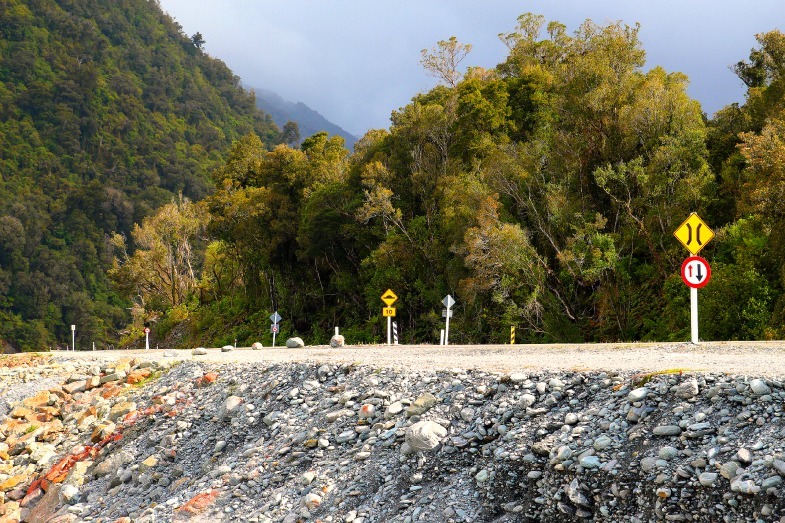 However, if you are cycling, then the duration is reduced by half. 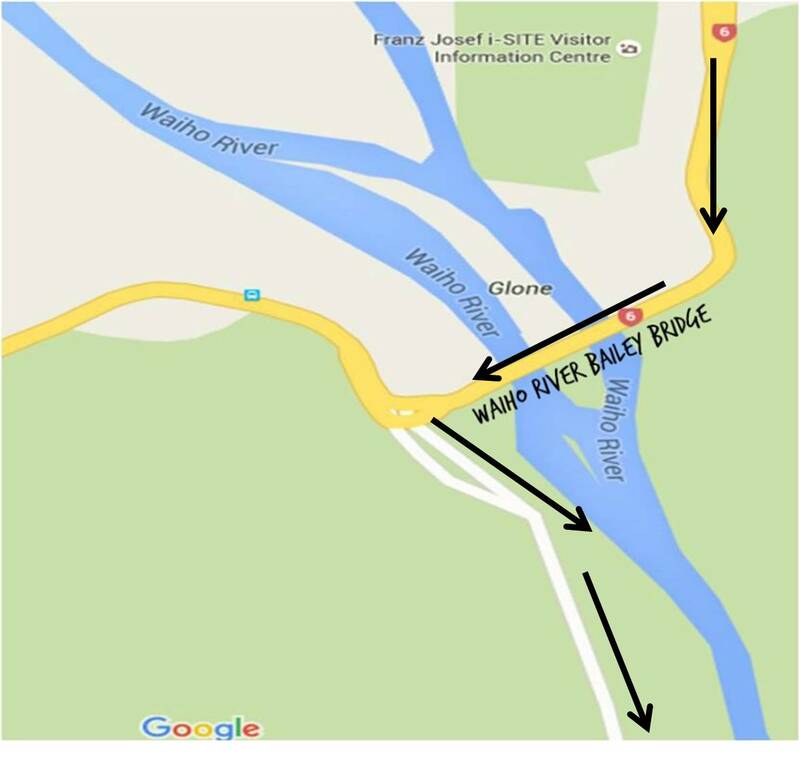 The route is still the same as if you were driving there- you would also need to pass the Franz Josef i-Site Visitor Information Centre, and cross the Waiho River bridge. 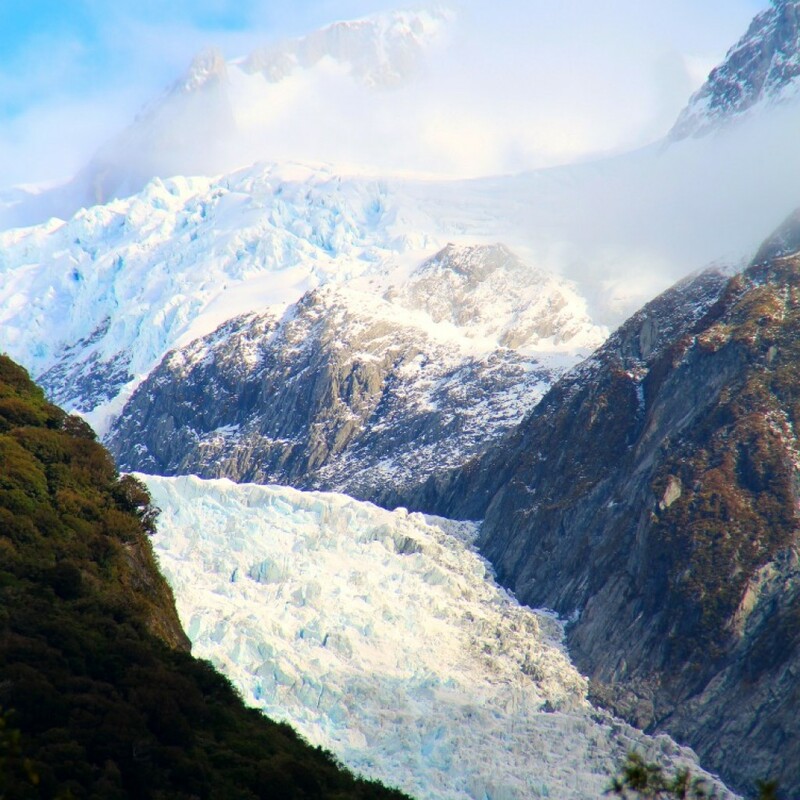 On a better day, from the parking lot, you could already get a major breath-taking partial peep at the majestic Franz Josef glacier! 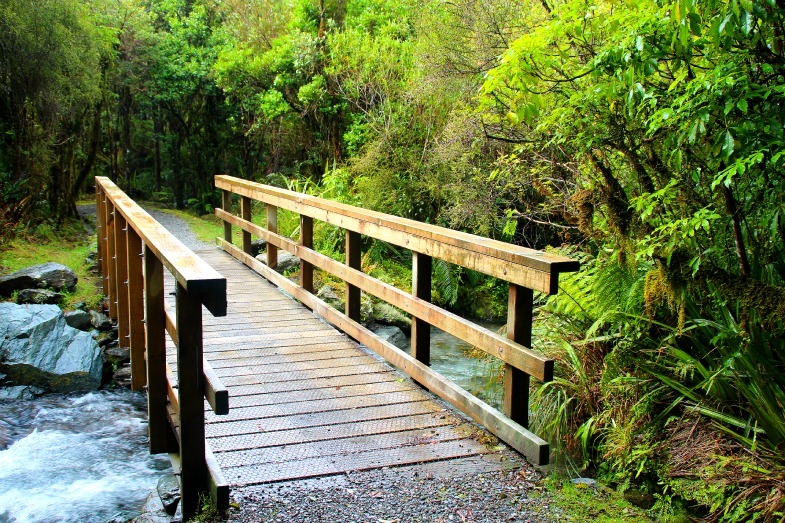 This is quite a popular walk as it is fairly easy; great fun for the whole family. 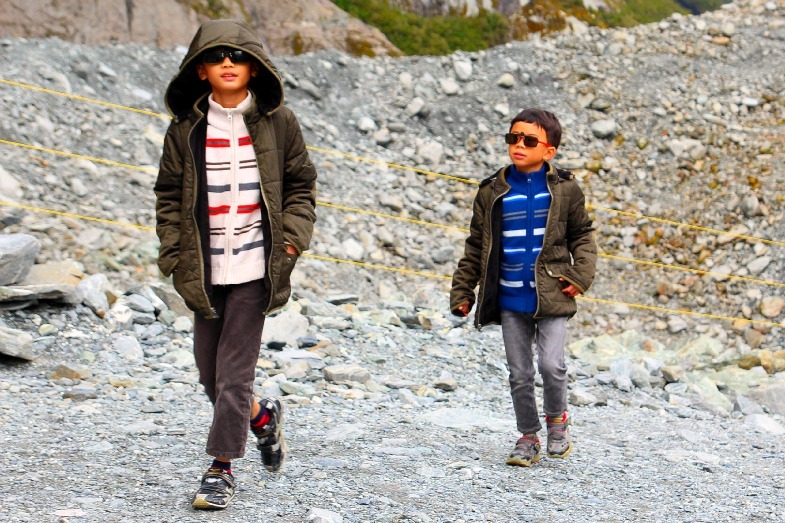 Plus, it was the weekend, so basically we were spending our morning literally in a playground; nature’s playground! 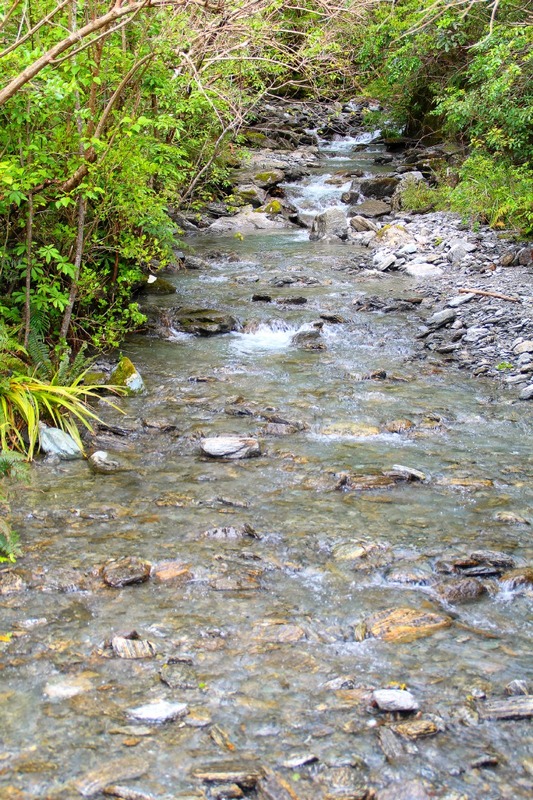 We started off with a short walk through the forest, with gentle streams flowing. 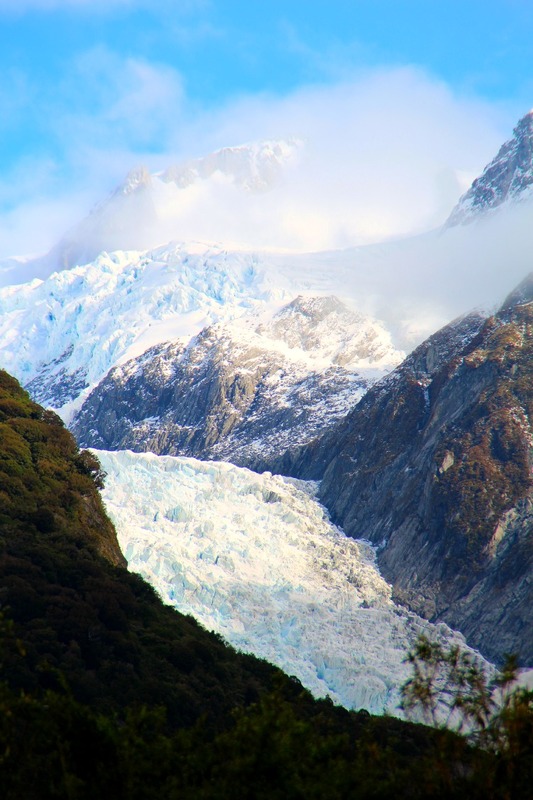 The real awe-inspiring series of scenes started when the forest opened up to a wide angular view of the distant Franz Josef glacier and its moraines surrounding. It was imperatively rejuvenating. 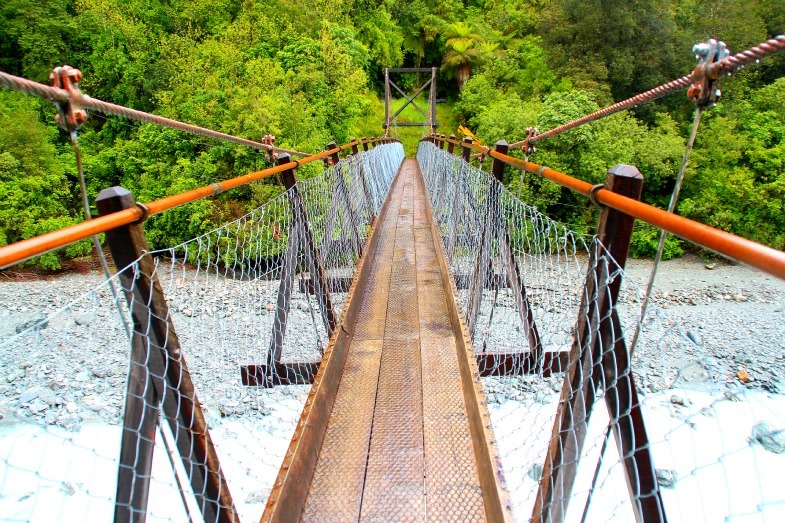 It was our first virgin trek through a valley, so it was a pretty amazing experience despite a melancholic morning! Shaft of some sunlight were soon observed as we advanced closer towards the viewpoint at the end of the trek. 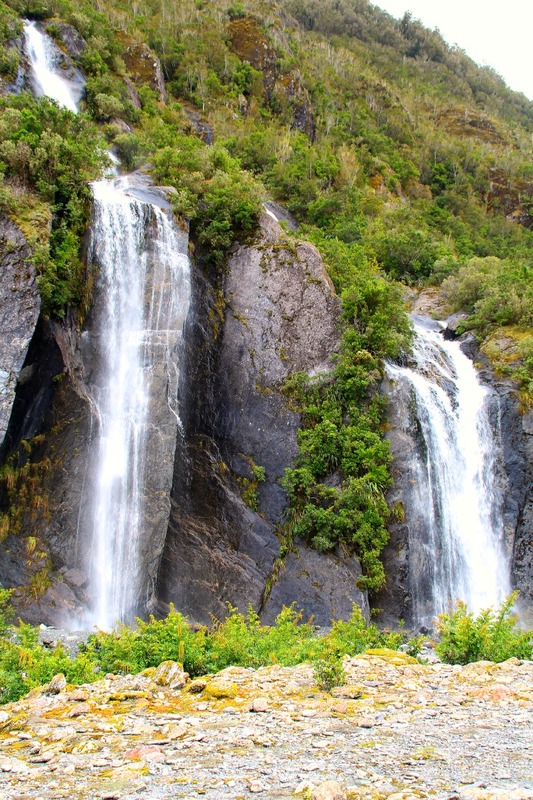 Along the way, other than seeing moraines littered the ground, there were refreshing waterfalls that gushed from the cliff side. 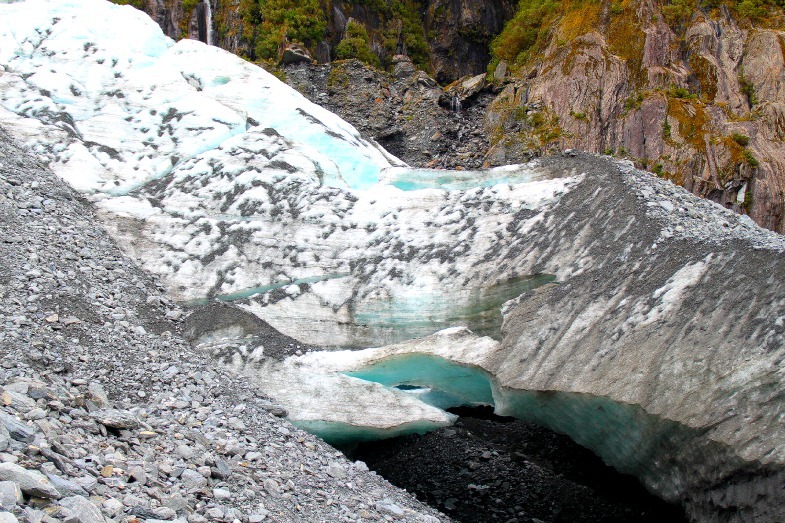 Quirky glacier formations were espied when closer to the viewpoint- with tints of grey, white and icy blue. 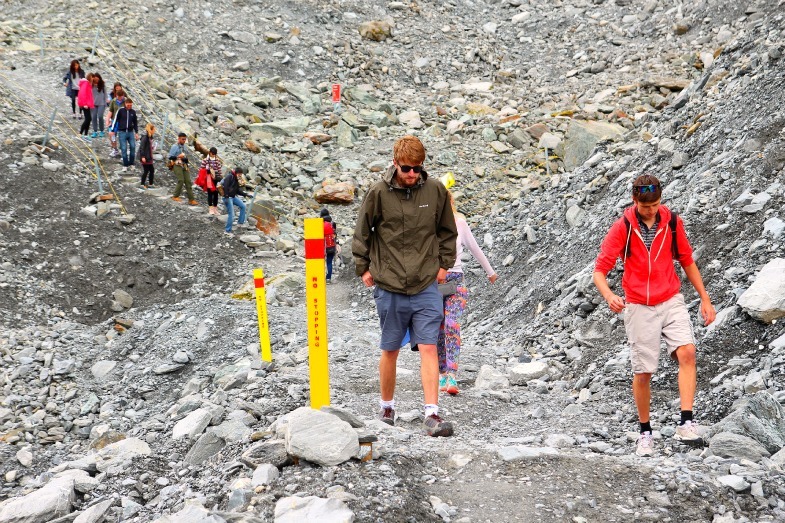 Things could get a wee bit challenging for the younger ones as the route gets a little steeper and less gripped underfoot due to the loose pebbles and rocks when closer to the viewpoint. 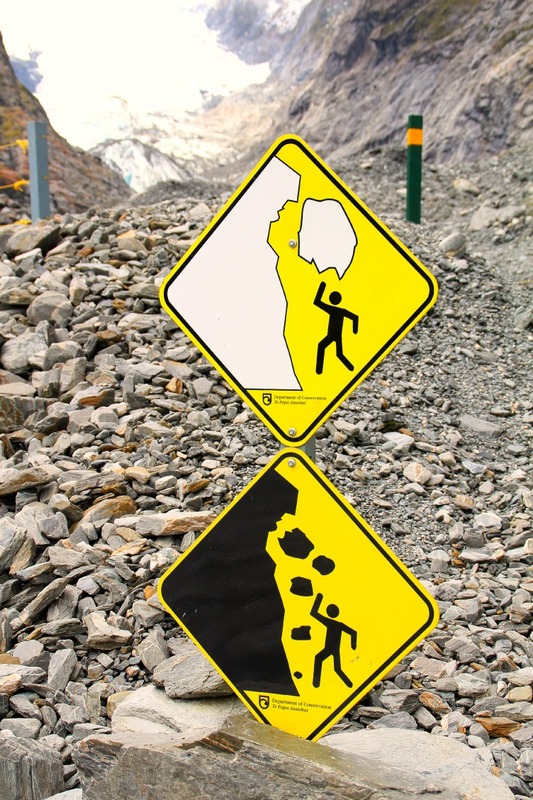 So do be cautious! 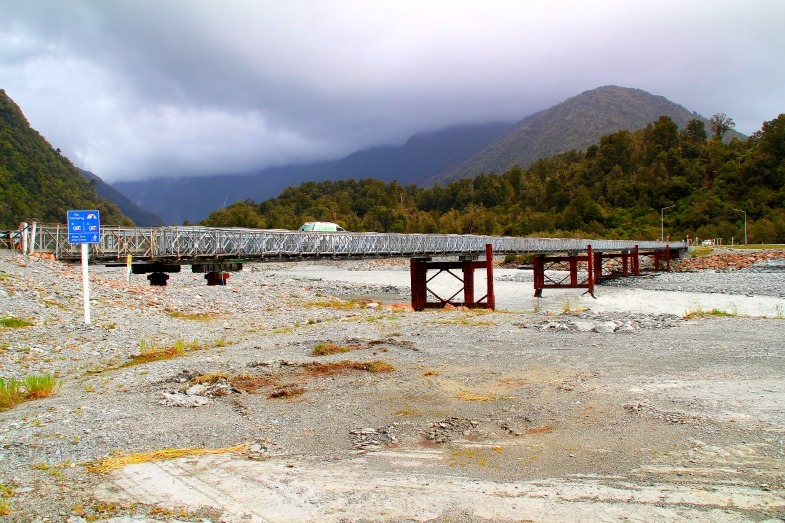 By right, the highlight of this walk had to be the view of the Franz Josef glacier right? This was the case back then. 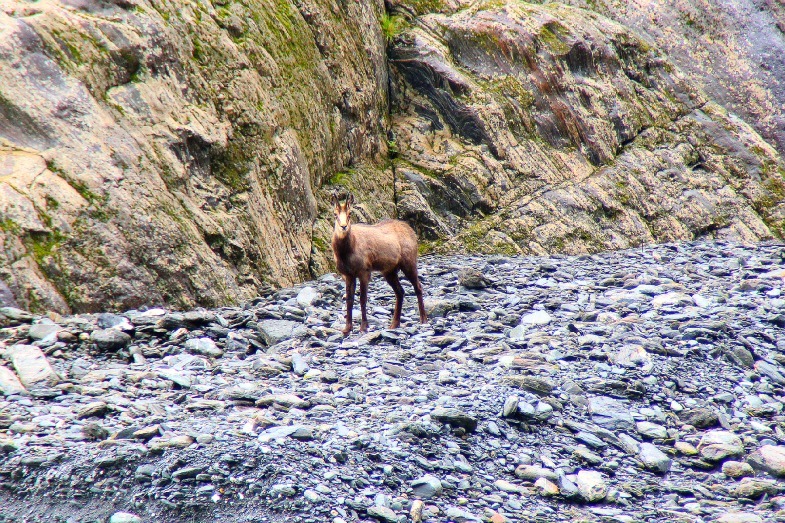 However, in retrospect, I feel the greatest memory to take away from this walk, and was fortunately caught on camera (though not as well focused), was the sighting of what it seemed to be a tahr? 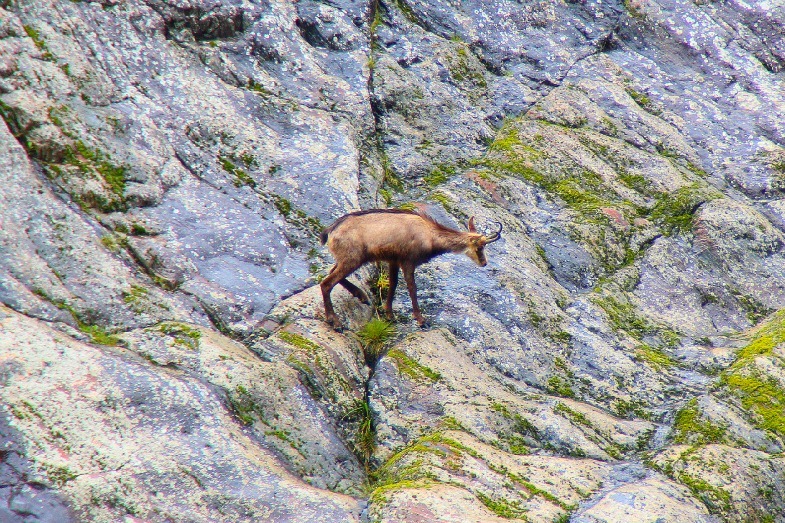 It’s a goat-like creature. I am really not certain about its official name. 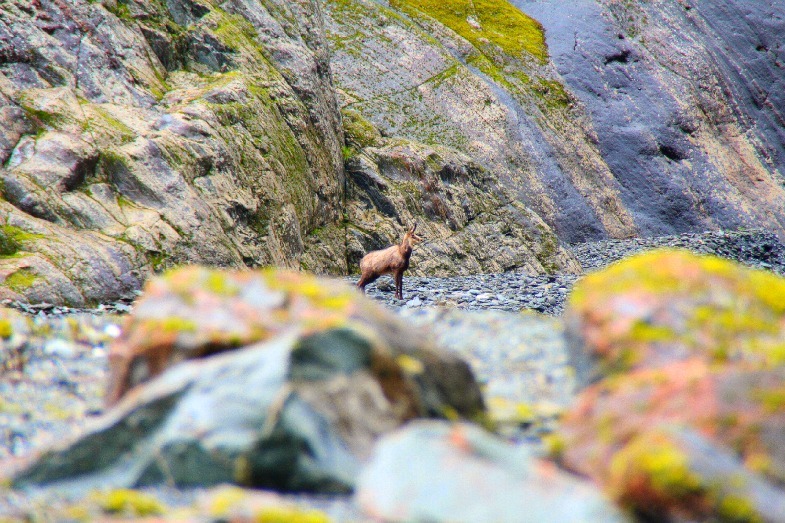 If it was really a tahr, which is classified as a pest in New Zealand (read more about it here: Tahr; New Zealand’s pest? ), I would still find this moment a treasure! 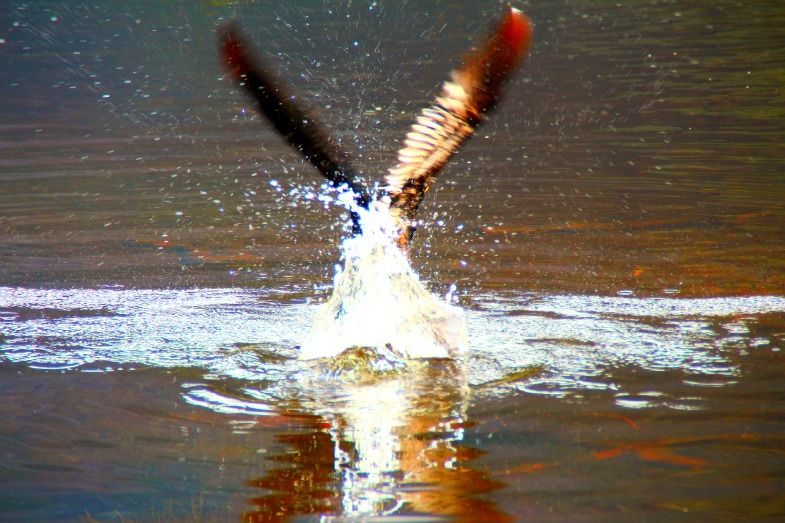 So it is always nice to keep your eyes peeled to the surroundings, you never know what treasure you might find! 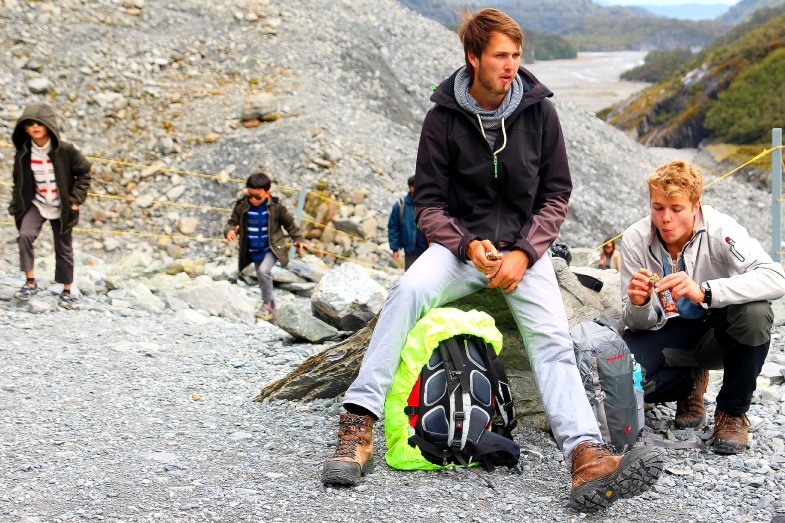 Since I have been comparing these two walks, now the question is which one is worth a go at? Well here’s a checklist to ease us into the answer. 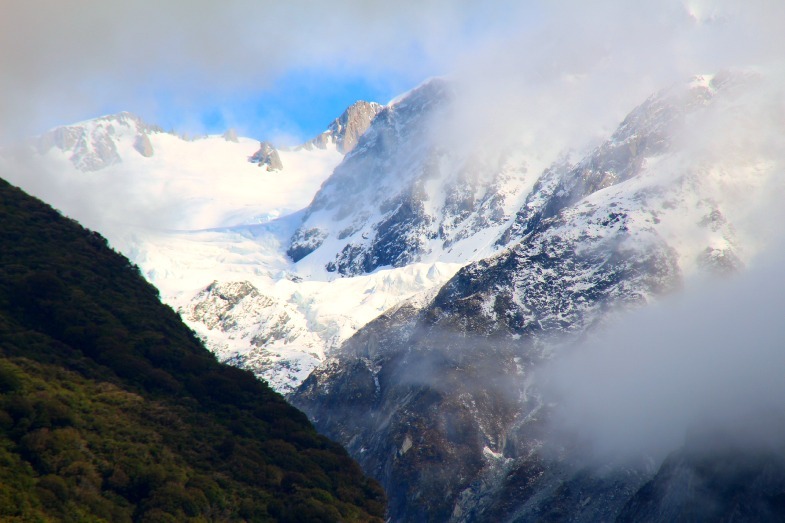 snow-capped mountains along the side cliffs? 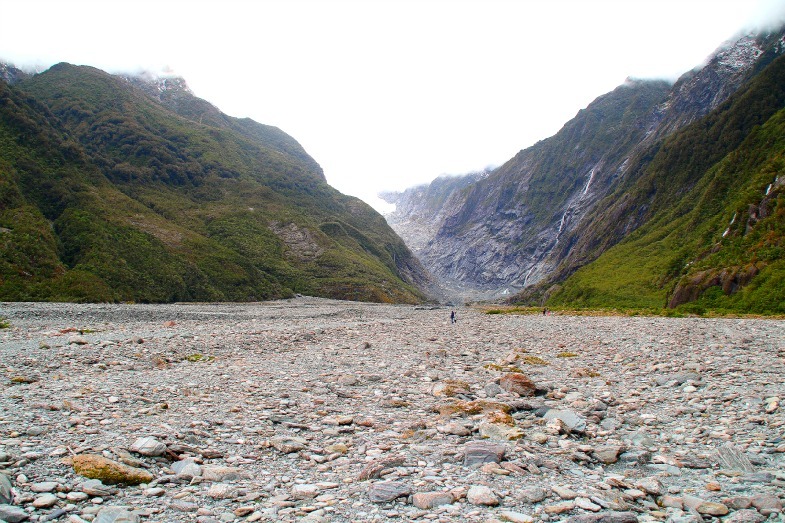 Not to say Franz Josef Glacier Walk was horrible (it really wasn’t at all), but in comparison to Fox Glacier Valley Walk, I would definitely prefer the latter. 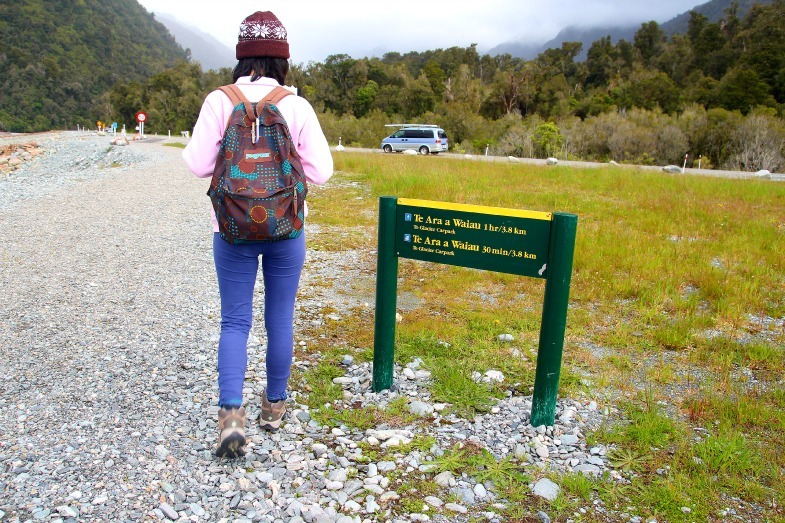 Maybe it was the gloomy weather, or maybe it was the thick fog that may have shrouded the snow-capped mountains that may be there (which I will never know, unless I return on this walk again on a much sunnier day), but in general, I felt the vista at Fox Glacier Valley Walk had much more character and personality. 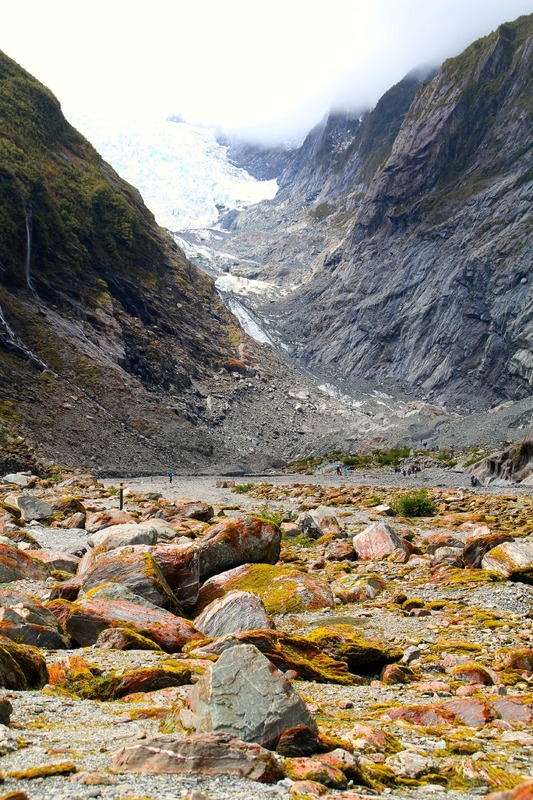 So if it isn’t obvious enough, the answer is Fox Glacier Valley Walk! 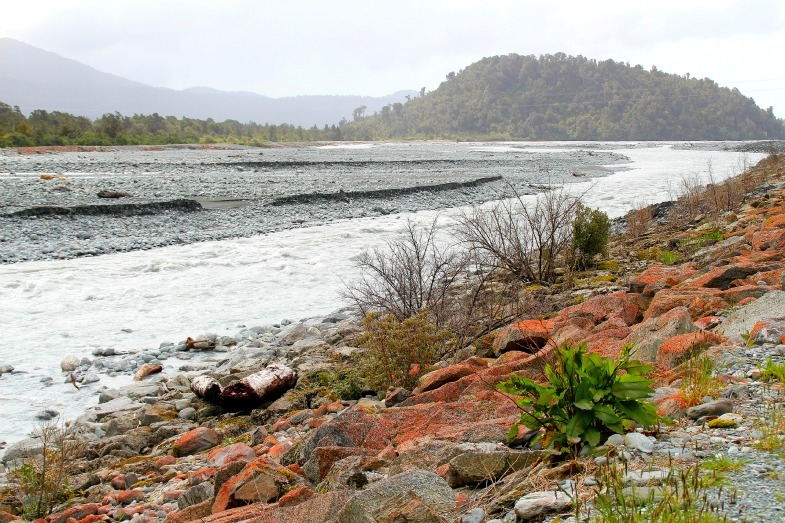 But of course if you have time at hand, and you are at Franz Josef township, then it doesn’t hurt to just take 2 hours off to explore the area right? 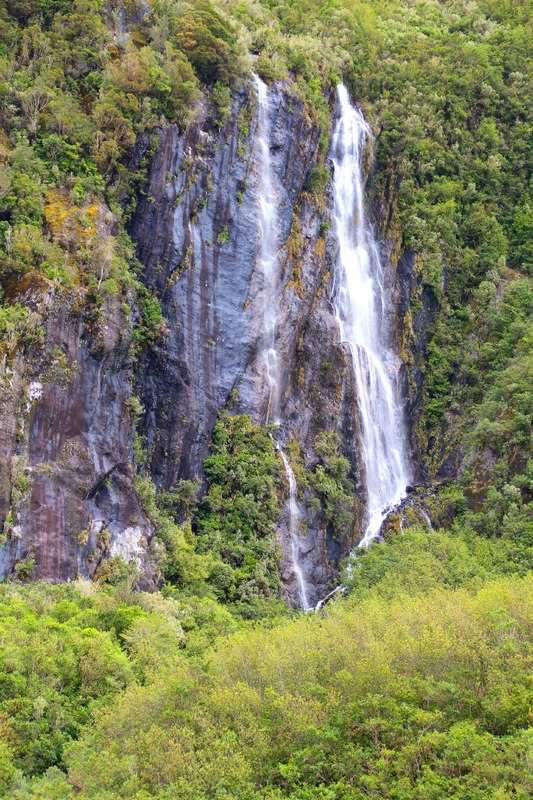 You may even see much more than I did during my time there! 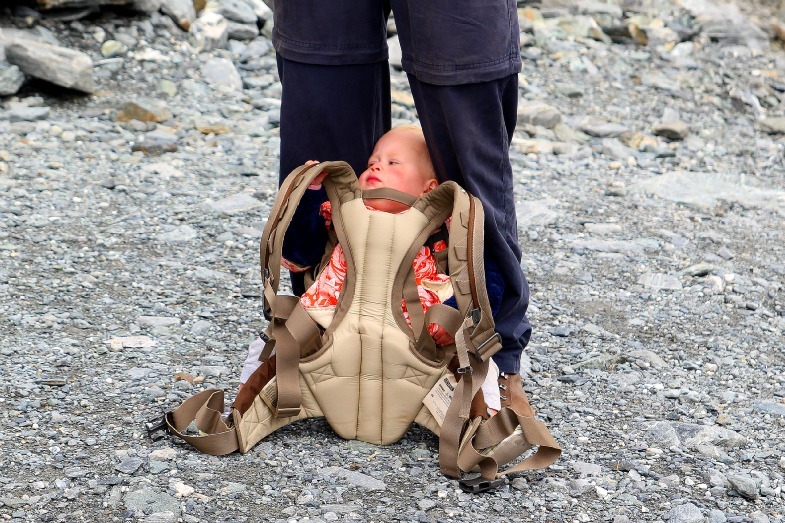 Embark on other walks/treks within the vicinity! 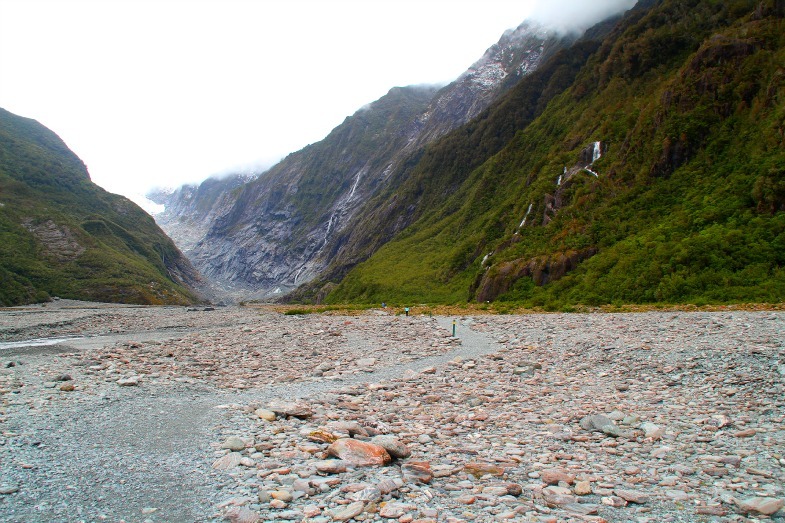 The best thing about this Franz Josef Glacier walk is its location! 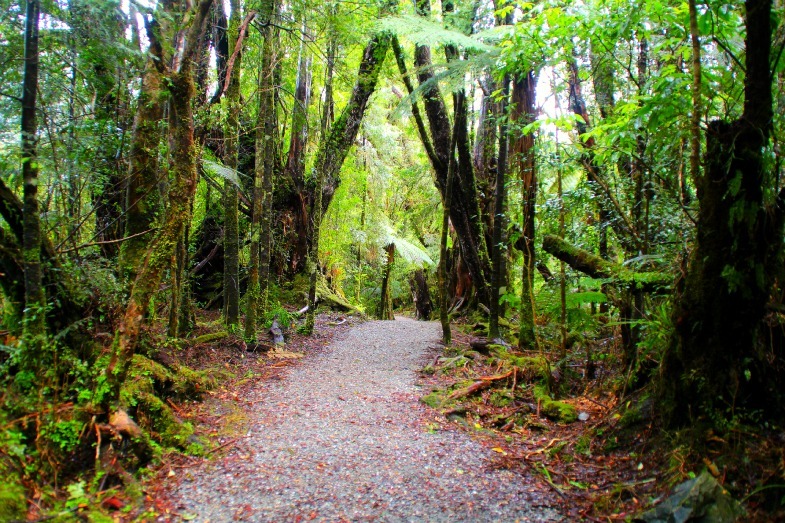 Just within the car park compound, there is another entrance that branches out to other simple walking/trekking options! 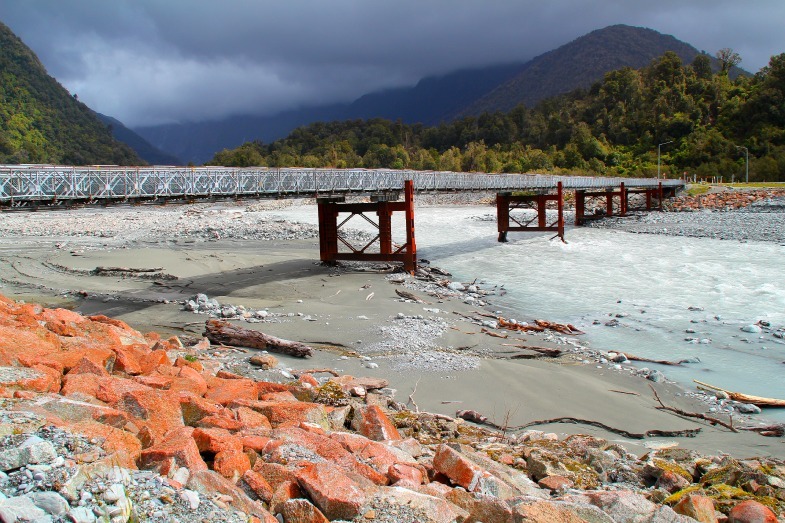 I recall it was the first day we arrived at Franz Josef township, and with a couple of hours of daylight left, we decided not to waste any time. 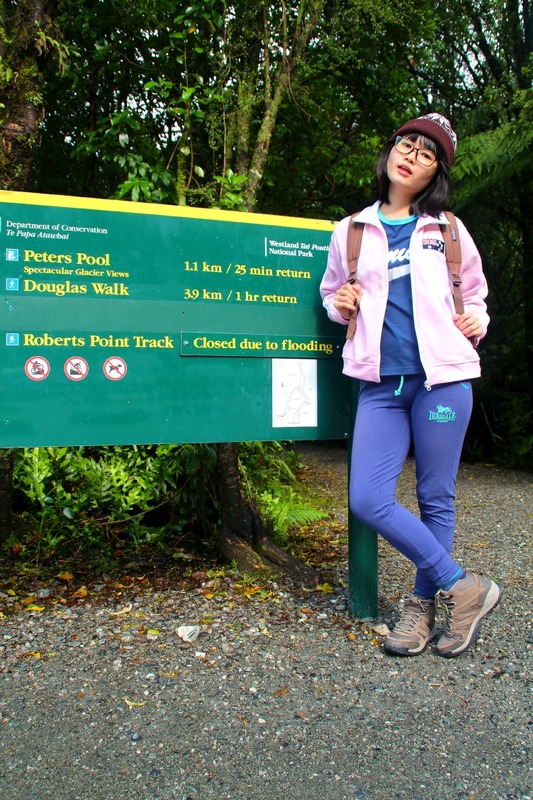 We headed straight for a simple trek on the Douglas Walk and to Peters Pool to end off the day! 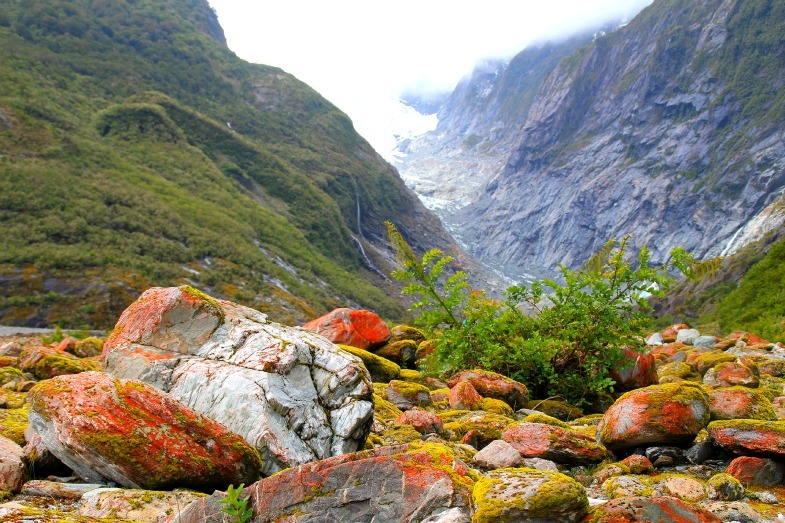 Since Franz Josef Glacier walk is only approximately 2 hours, you could continue on your trek-athon, if you please, and just pop by Peters Pool. 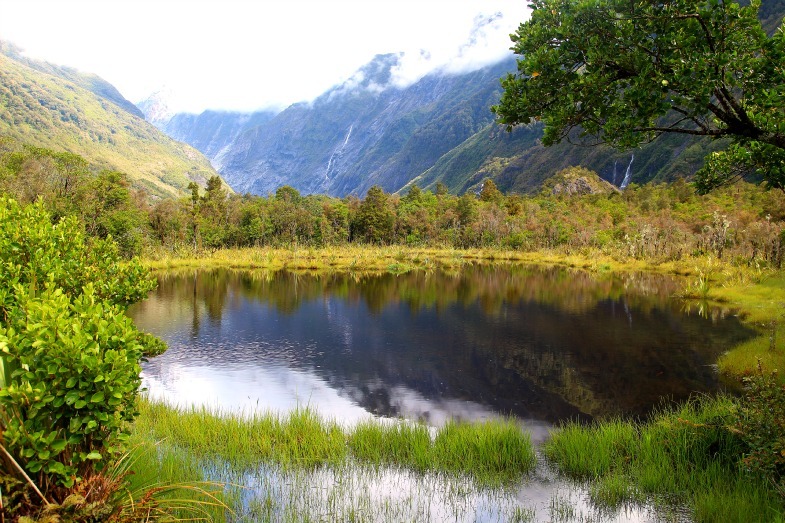 On a clear day, the view by the little pond (Peters Pool) would give you unobstructed partial views of the massive Franz Josef glacier. I would definitely recommend this! Fancy a morning jog? 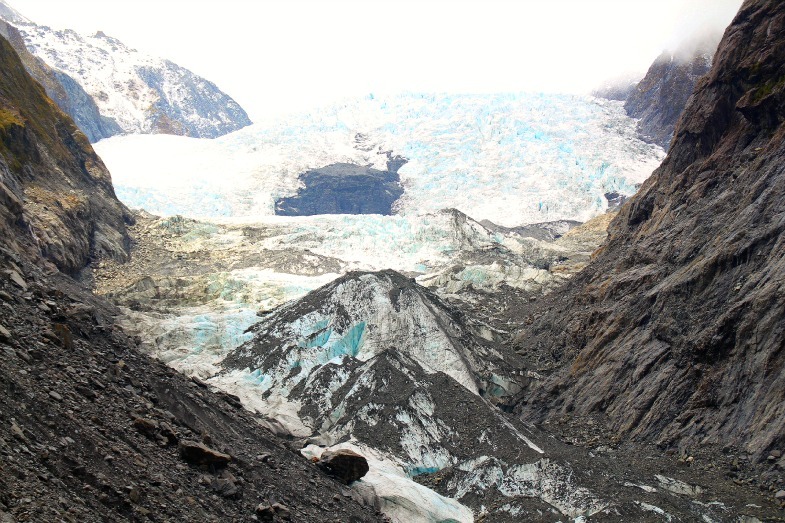 Then take it to the glacier! 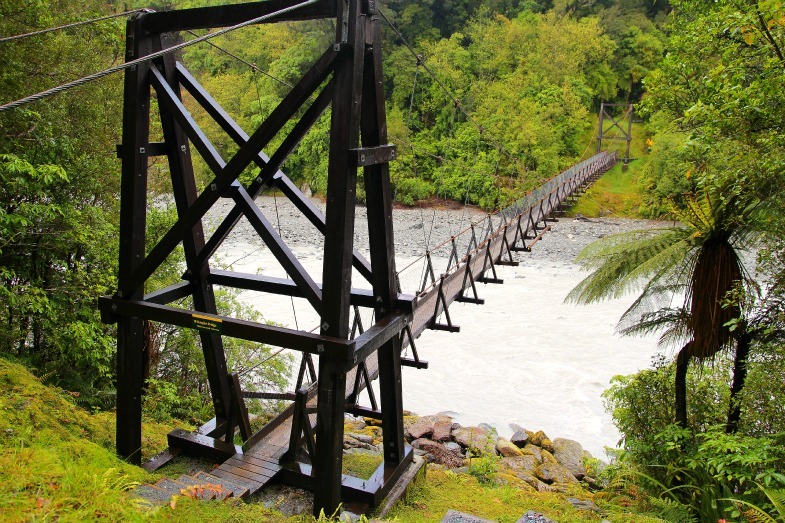 With route fairly easy, and just a 10 minutes drive from Franz Josef township, going on this jog is really doable! 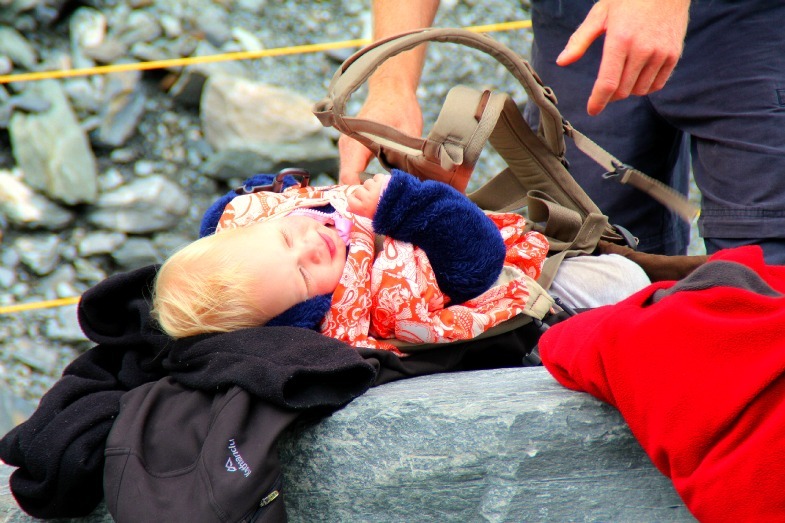 We saw a few couples doing this! If we had more time, I would definitely suggest this! And MAYBE we would be going on this route a second time, and MAYBE the weather would be better, and MAYBE the landscape would have more personality then? 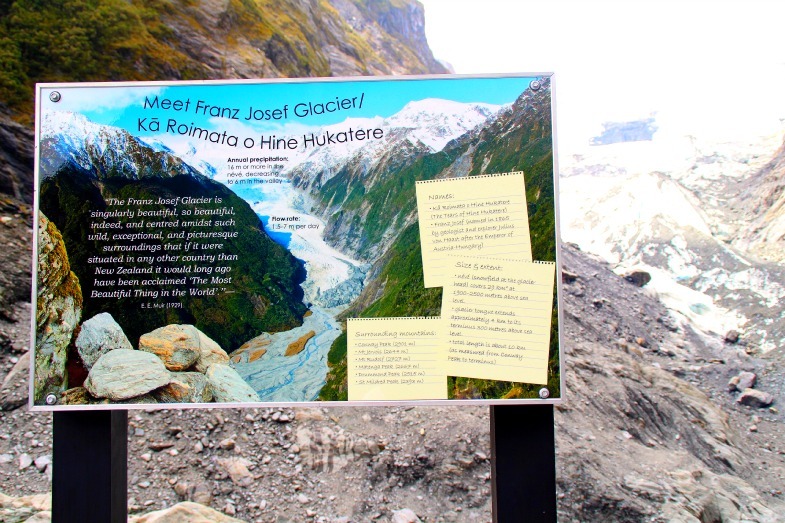 And MAYBE Franz Josef Glacier walk MAY have more ticks on the checklist above? 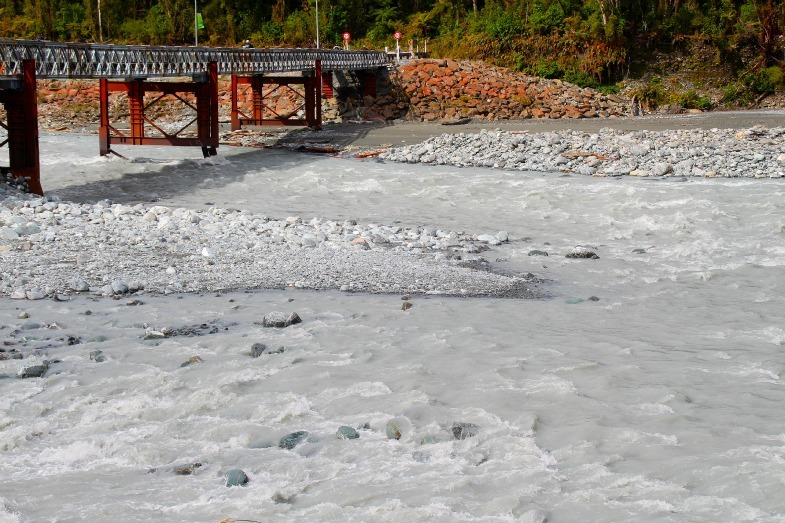 Another tip, which is the MOST important, is to check if the track is close for the day due to ice collapse, flooding or rock falls before you embark on the trek! 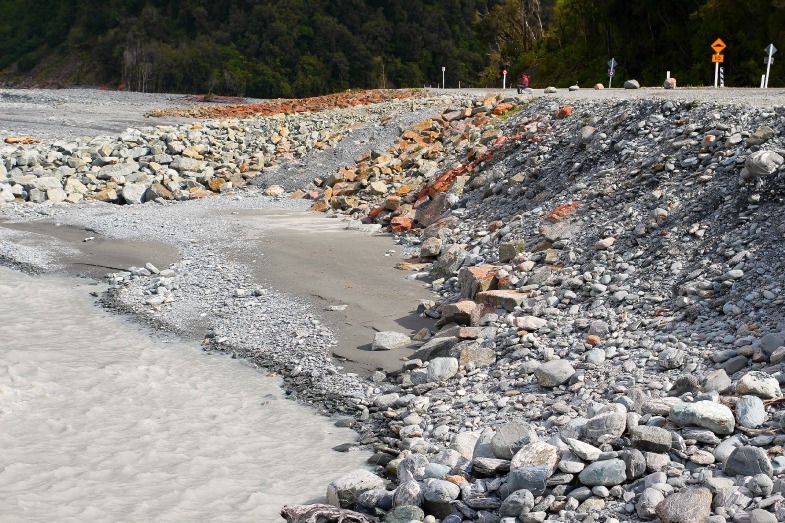 You can do so at the local Department of Conservation (DOC) office at Fox Glacier Township, or at the Westland Tai Poutini National Park Visitor Centre at Franz Josef Township. So remember to Travel Whenever, and have a good trek!